Consumers vote with their wallets and over the last 6 months, the majority of smartphone voters are checking Android when they drop their credit card into the ballot box. Nielsen reports that in the United States, Android has reached 43% marketshare for smartphones but when polling those who purchased within the last 6 months, 56% are choosing Android. 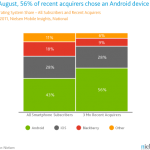 What percentage of first-time smartphone buyers are choosing Android? What percentage of BlackBerry, iPhone, Windows Phone, or WebOS users are defecting to Android and how do those numbers compare? What percentage of current Android users are defecting to iPhone, BlackBerry, or Windows Phone? Are there any people on the planet going from a smartphone back to a feature phone (which should probably be renamed featureless phone)? I’d like to see these questions answered, but in today’s relatively volatile tech market anything can happen. A few years ago, Android didn’t even exist. Even more recently, WebOS was hands-down the hottest hyped mobile platform. And even MORE recently, Nokia was innovating like crazy. Okay… scratch that last one. Android will almost certainly continue its surge to the top. While the majority of smartphone buyers are choosing android phones over the competition, it’s interesting to note that Android is still #3 behind BlackBerry and Apple in total handsets owned according to Nielsen. With Microsoft on the verge of launching Mango, Apple on the verge of launching a new iPhone, HP on the verge of selling WebOS, and Blackberry on the verge of nothing, where will these stats stand in a year? As always, there’s never a lack of excitement in the mobile tech world and we’re eager to see another strong year for Android moving into 2012. Sprint and RIM decided not to release the 4G WiMAX version of the BlackBerry PlayBook, but worry not as this decision is actually good news. Why? 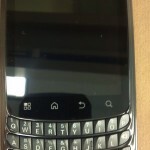 Because, RIM might focus on the LTE model instead, giving up the WiMAX one. However, there are plenty of BlackBerry handset users that will one to try a tablet out. Would you? BlackBerry PlayBook 10 Inch Version Coming at Christmas Time? BlackBerry PlayBook 3G Available Now! 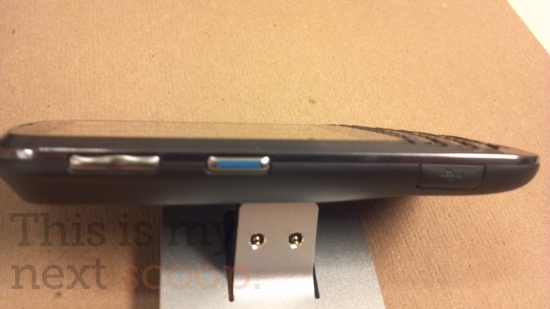 Motorola Pax Coming to Sprint – Dual-Core Super Charged XPRT? 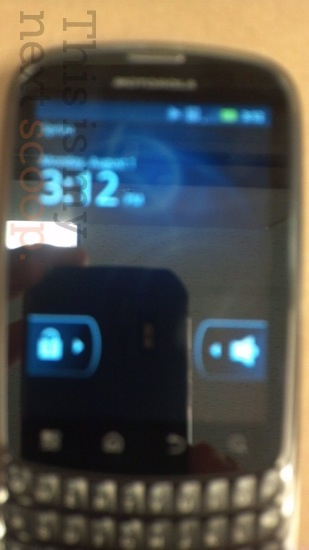 The guys at This Is My Next just received some clear shots of the Motorola Pax coming soon to a Sprint store near you. We last saw this handset back when PopHerald leaked some blurry pics of the then unnamed device and it was immediately dismissed as just another entry level, wannabe BlackBerry type device from Motorola. What was puzzling is that Motorola already released an entry level-ish BB device for Sprint (the XPRT) so why would they give it another go? Well, apparently this candy bar qwerty will be housing a dual-core processor, giving it arguably a little too much power for such a little nugget of a smartphone. This guy looks like it has somewhere around a 3.5-inch display and unless it’s 800×480 resolution, I can’t fathom why a dual-core would be necessary. But those kids, they love their dual-cores. The profile shots of the device show Motorola’s familiar tapered styling (starts of thick, and thins out near the bottom). No info was given on pricing or availability although it was mentioned it would come with Sprint’s direct connect “push-to-talk.” I’m guessing it will have 1-up the XPRT in a few other areas like 4G WiMax and camera MP. I just want to hear from our readers. Where do you think a device like this should land pricing wise? 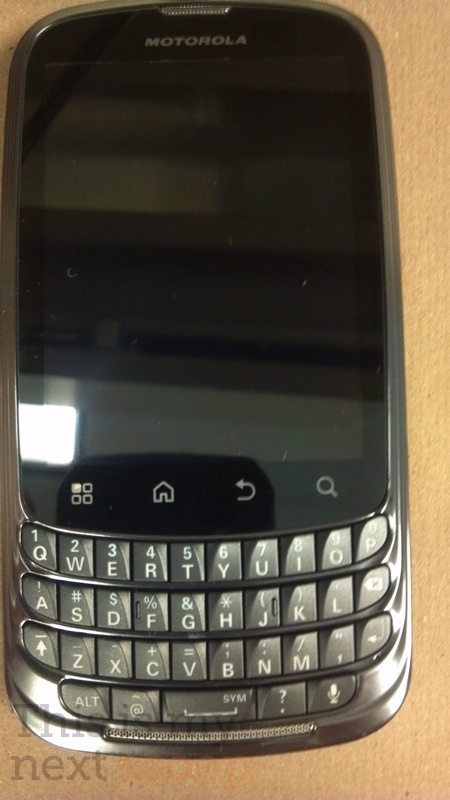 And anyone else think Motorola could have a potential lawsuit on their hands from RIM (just look at those keys)? Binatone has unveiled a bonkers device that it is describing as an eBook reader, but what we'd call a tablet / ereader / personal organiser hybrid - the Binatone ReadMe Mobile. The ReadMe Mobile really is a case of a jack of all trades in that it specialises as an eBook reader - although the colour screen isn't E-Ink so there are reflection issues - but it also offers an Android OS (2.1, ?clair), Wi-Fi connectivity, web browsing, email and media playback. There's also 2GB of storage for your digital shizzle. There's no touchscreen though - the display is a 7-inch, 800x400 one. Controls are via the BlackBerry-like trackpad and the full physical QWERTY. This is not only something that we don't think we've seen before on an Android tablet - it also makes for a wacky looking device. Still, at ?129, it's a device that may find a market amongst more budget conscious tech fans, who aren't too bothered that it may be spreading its features a little too thinly. Battery life is also a bit of issue - 6 hours "reading time" is stated. The Binatone ReadMe Mobile is out now - as is the updated version of the iHomePhone packing "a whole range of enhancements". The iHomePhone 2 is priced at ?99. RIM Loses 10% of Work Force, COO Retires… PlayBook Upgrades in Danger? When a big company is downsizing and replacing major officials that’s certainly bad news. This is happening to Research in Motion, that after confirming 7 new BlackBerries for the next months, now confirms layoffs and a COO change. 2000 jobs will be cut as part of the cost cutting measures following a not so bright quarter and disappointing BlackBerry PlayBook sales. Meanwhile, the 4G version of the tablet has been delayed till this Fall and it appears the BB OS 7 handsets will be postponed as well. RIM COO Don Morrison has also announced his retirement, after being on medical leave since earlier in the year. After the layoffs, RIM will be left with 17,000 employees and it appears that more downsizing will follow till the year end. In the meantime, investors pressure co-CEOs to only leave one man in charge and resign from their chairman positions. Well, Nokia’s change of CEO didn’t work out so well, so is this a viable solution? I personally like the PlayBook and with a bit of work on it, you can really turn it into a hit. But is there enough time for that? Troubled times at RIM towers? It would seem so, although the Canadian mobile giant it still surprisingly upbeat despite revealing that the company is to slash 11 per cent of its workforce, some 2,000 employees, in a move "which is focused on eliminating redundancies and reallocating resources to focus on areas that offer the highest growth opportunities and alignment with RIM’s strategic objectives". As part of the cost optimisation program the 2,000 jobs are to be cut across the global employee roster with workers to be notified this week as to whether they're going to get the boot. The company has been quick to point out though that rumours of its demise may have been greatly exaggerated though. An email statement sent to Pocket-lint states that the recent ComScore figures for its UK smartphone user base was "inaccurate by a wide margin". ComScore had 3.591 million BlackBerry subscribers listed for the UK at the end of May 2011. RIM says it's more like just under 7 million subscribers - a number that would still see it leading the way from Apple. With a re-shuffle at director level also announced though, coupled with the job cuts, there's more than a whisper of indication that all is not good within camp BlackBerry. BlackBerry PlayBook Android Emulator Hits the Web! There’s a major leak out there, that’s directed to BlackBerry PlayBook owners: an Android emulator. We know you’ve been wishing for such a piece of software ever since RIM announced the support for Android apps on QNX. The support for Google’s OS emulation was announced a while ago by Mike Lazaridis from RIM. The emulator I’m talking about is based on Android 2.3 Gingerbread and it’s not Virtual Android, in case you were thinking about that. This is practically a stripped down version of the platform that’s emulated and only provides the basic features and environment to run the Android apps you want. You can get the Android emulator from right here, if you’re tired of App World. BlackBerry PlayBook to Run Android 2.3 Apps, Sign of Things to Come? Research in Motion’s PlayBook tablet has some press mentions in its short life, but most of them negative. However, this time it’s something good, that gives us faith in the product. I’m talking about the slate being approved for U.S. government use. The tablet has received FIPS 140-2 certification, making it the only media tablet to get this certification from the National Institute of Standards and Technology. FIPS certification is needed for a device to be available for use by the US Government. We’ve heard about many officials in many countries relying on BlackBerry phones for their daily duties, but a governmental tablet is a first. I would have guessed the iPad would be a perfect tool in this field, but with RIM’s tradition of business use and top notch safety, the PlayBook sure sounds good. Plus, since major officials and state presidents already have BlackBerry phones, why not pair them with the new PlayBook slate? We knew that the BlackBerry PlayBook tablet wasn’t performing that well and rumors claimed that the WiFi only version was bound to get an axe, but to be surpassed by the Windows slate segment that’s just… sad. 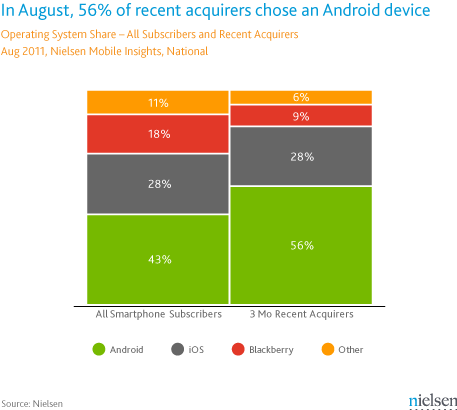 Strategy Analytics is reporting that in Q2 2011, Microsoft shipped more tablets than RIM. This is quite bad for RIM, considering that Win 7 wasn’t even designed for tablets and people don’t find it particularly appealing on a tablet. If you’re interested in figures, know that Microsoft owned 4.6% of the tablet market share (in Q2), while RIM got 3.3%. Apple is still leading with 61.3%, while Google is second with 30.1% in second place. I guess that things will be different when Windows 8 comes out, since Microsoft will already have a lot of partners lined up till then. Also, the sales mentioned above are unjust, since I prefer QNX OS to Win 7 any day, since it’s a pretty good platform.